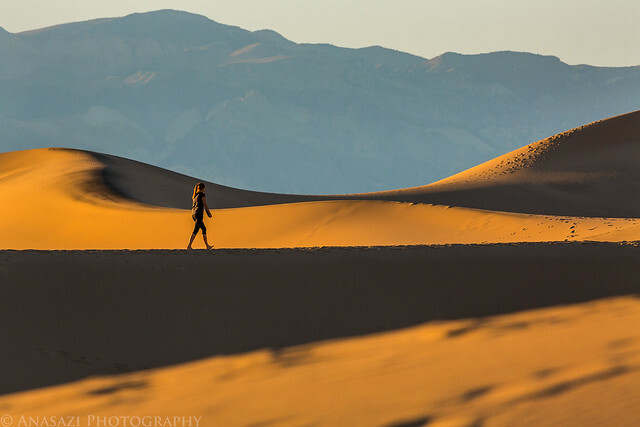 After a pleasant night camping at the base of the Eureka Dunes, I was up in the dark and hiking back into the dunes so I could catch the sunrise. 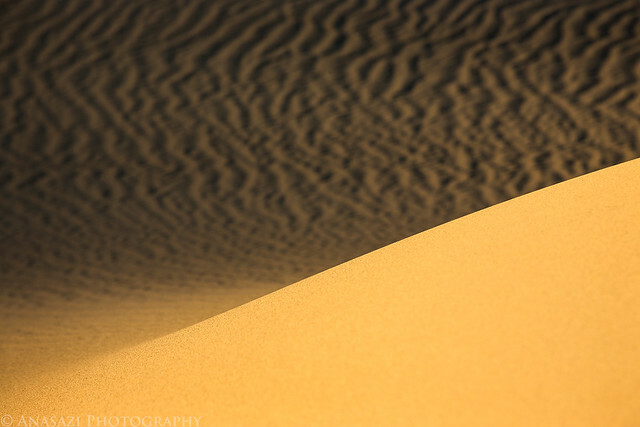 A close look at the edge of a dune. 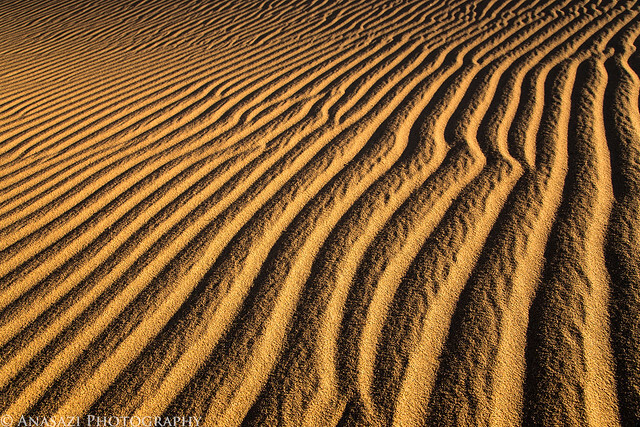 Nice ripples in the sand. 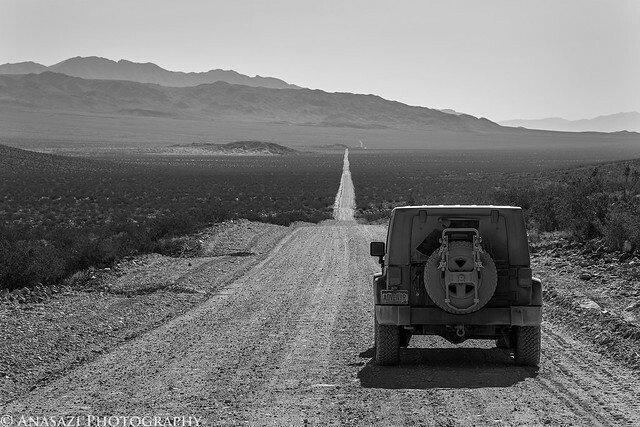 When the sun was up high enough, I returned to camp and loaded my Jeep. 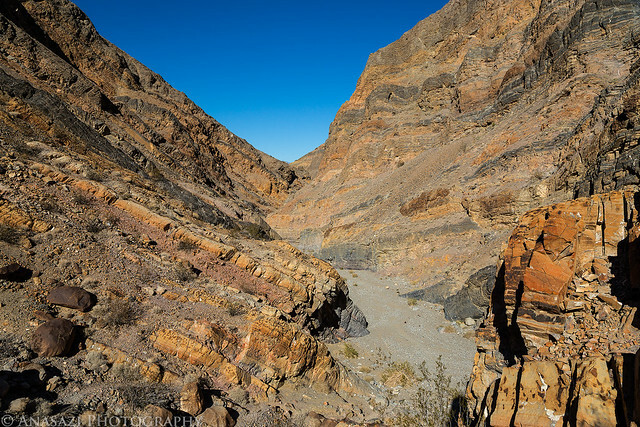 I left the Eureka Valley and drove across the Last Chance Range to Crankshaft Junction where I headed south into Death Valley again. 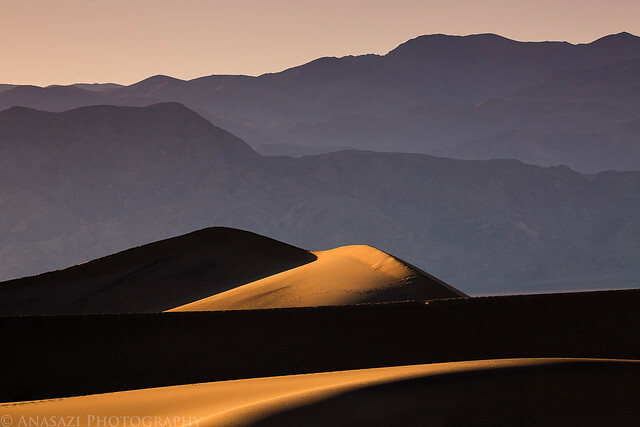 Back in Death Valley on this hazy morning. 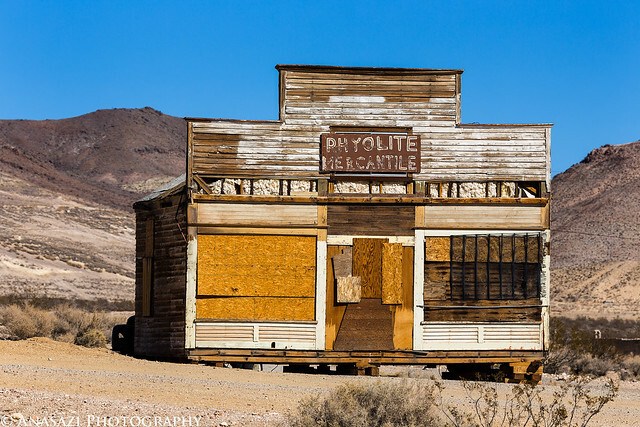 On the drive south I made a detour to Beatty, Nevada to fill up my fuel tank and decided to make a quick stop at the ghost town of Rhyolite nearby. 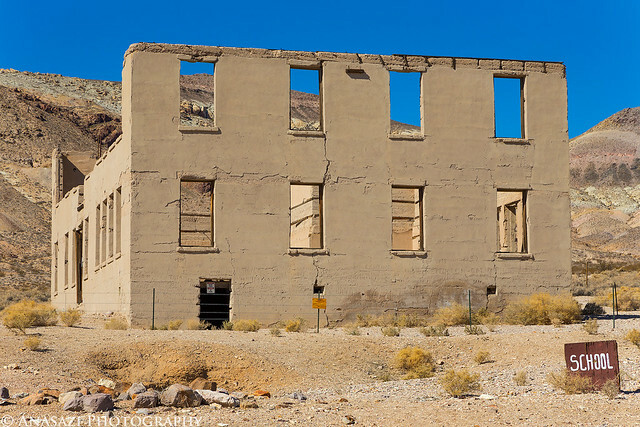 I didn’t stay long, but I snapped a few pictures of some of the buildings still standing. 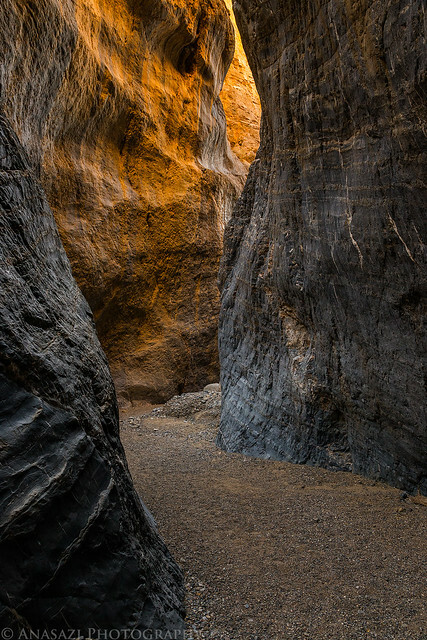 I still had a few hours before sunset, so I decided to hike to the narrows of Marble Canyon since I was in the area. I even found a few petroglyphs. 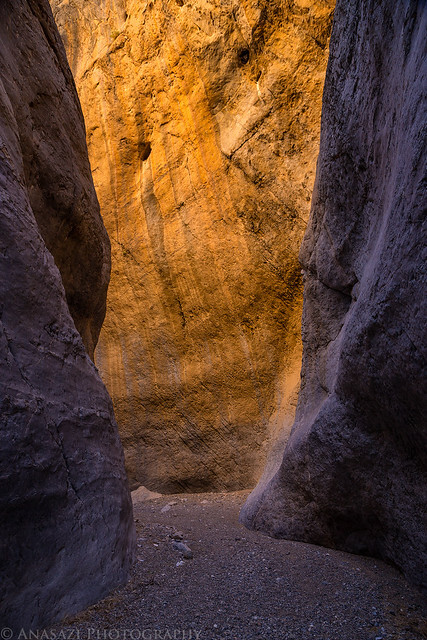 Great reflected light on this wall of the canyon. 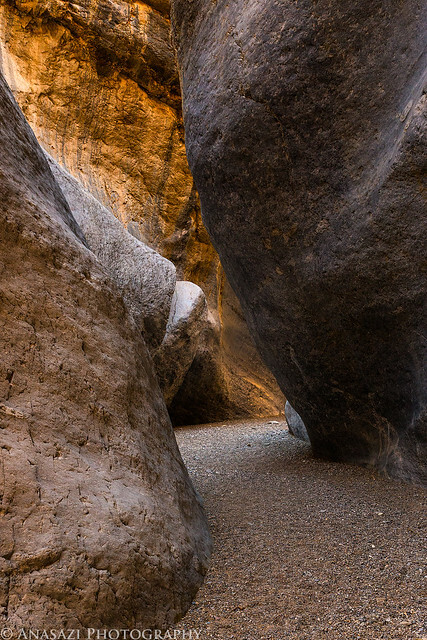 It was a very cool slot canyon to explore. 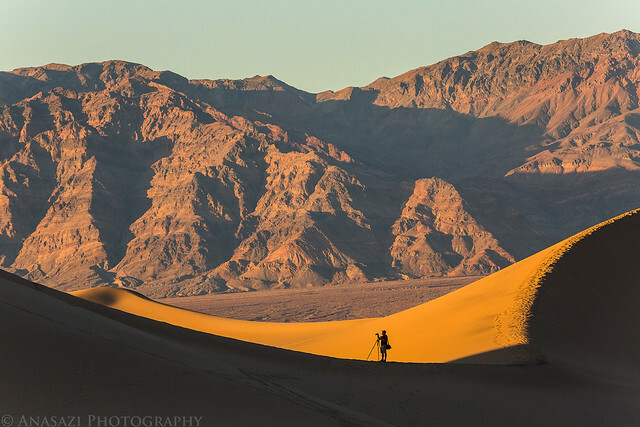 When I was done exploring the narrows I had to hurry up and get back to the Mesquite Flat Sand Dunes so that I didn’t miss the sunset. 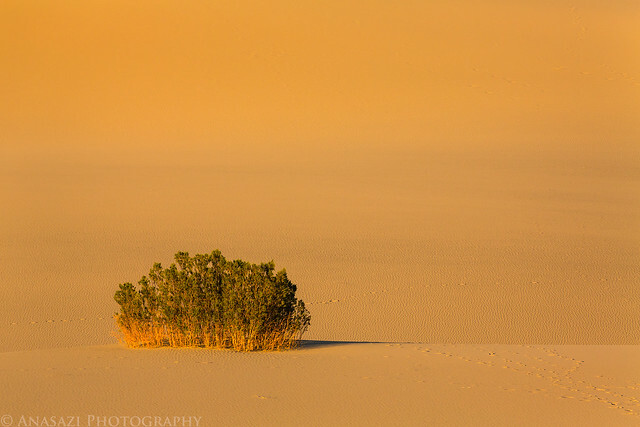 I spent a bit of time hiking far out into the Mesquite Dunes looking for areas that had no footprints in the sand. 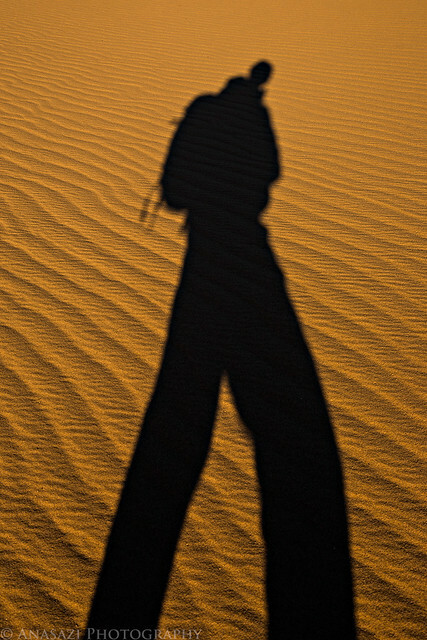 Unfortunately, no matter how far out I went I was unable to find any dunes that didn’t have footprints on them. Since there were a lot of people at the dunes this evening, I included a few of them in my shots. When the light was gone, it was time for me to find a campsite. 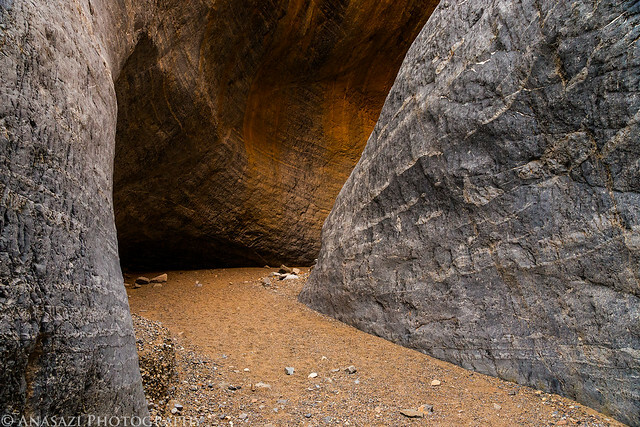 I was originally planning on camping along the Cottonwood Canyon road, but when I had driven up to Marble Canyon earlier I noticed that all the spots along the road were already taken. It was the first time all week I had even seen anyone else camping in the backcountry. 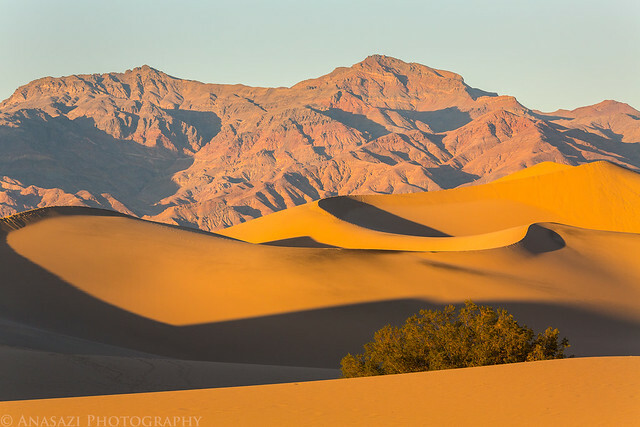 I only wanted to camp there so I would be close to the Mesquite Dunes for sunrise, but after my evening at the dunes I really didn’t feel like returning for sunrise. 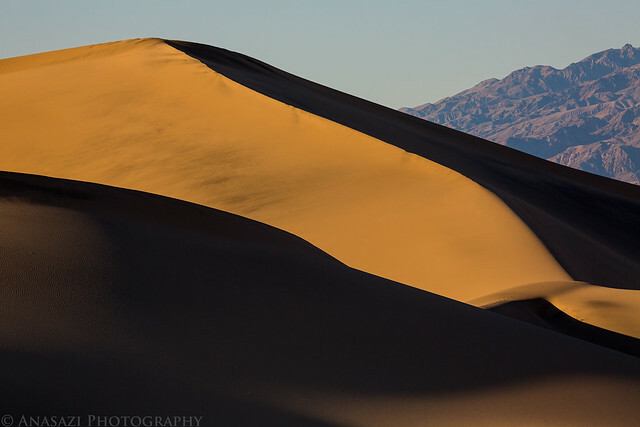 Instead, I decided to return to Zabriskie Point for sunrise the following morning, so I drove up the nearby Echo Canyon road to look for a site. There were quite a few people camped along here, too, but I managed to find a small site to setup camp.